Precision community · Created a new topic Welcome! Welcome again to the hentaiphd Community Game Jam! Use this forum to share your ideas for your game, receive and provide feedback on these ideas, and search for teammates if you don't want to make a solo game. The rules for the jam are posted on the main page, but if you have any additional questions, feel free to ask here or in the discord. Notable Games: Gone Home, Hearthstone, Cities Skylines, Ori and the Blind Forest, Cuphead Resources:Unity Beginner Documentation; Sebastian Lague Intro Playlist; A little pricey, but this kit available on the asset store is well worth the cost if you're interested in making first-person exploration games. Most of the updates so far have been back end, so not much point in posting up to this point. 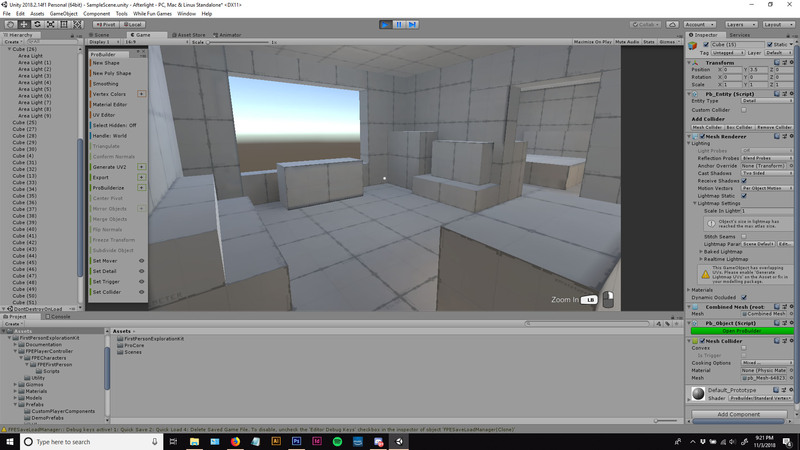 I abandoned the First Person Exploration kit as it wasn't doing exactly what I needed, and it felt faster to just script it myself rather than figuring out how to work within the FPE assets. Movement, item pickup, and menu navigation are all working, with the last piece of scripting being a basic dialogue display system. 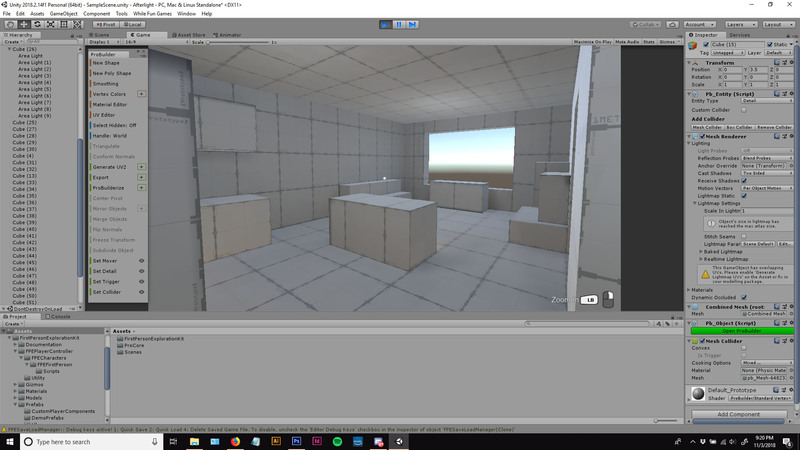 I also started messing around with the lighting and it kinda looks like a game now? Obviously still a decent amount of modelling left to do though. Welcome again to the hentaiphd community Wine Jam! Got the card traits (number, shape, color) and score implemented and working tonight after I got home. I still need to implement the Wine cards, but that should be pretty similar code to other mechanics in the game. The goal is to see how far I can get tomorrow so I can determine how much time I can afford to put into an overarching structure, so there's enough time remaining to work on polish. 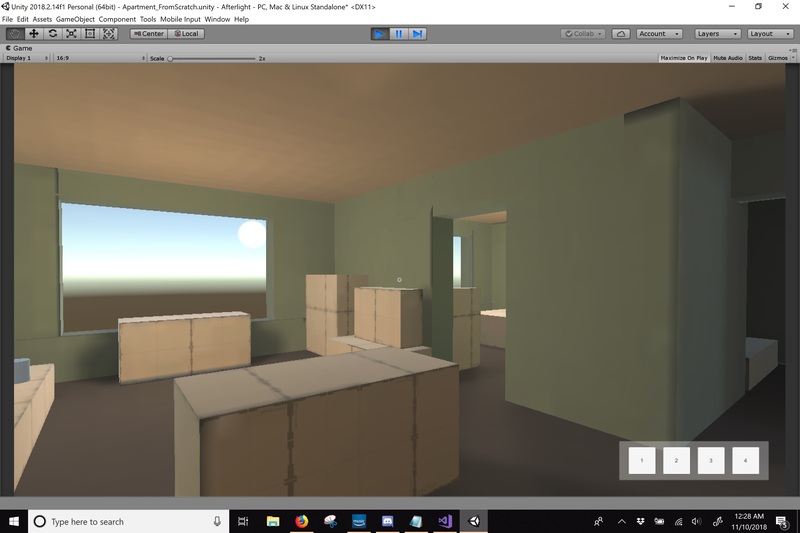 I'm posting this way later than I anticipated because I was over-ambitious, and decided to use this as an opportunity to get more experience with Unity. As a result, I was unsure if I'd be able to get a working game by the end of the jam, but finally made enough progress last night that I have something worth showing. Mixed Signals is going to be an abstract dating sim, with a "dialogue" system built on card game mechanics. The current plan is for each card to have 3 traits, which you will attempt to match with those of your love interest. The more traits you match, the better the conversation, leading to more complex card combinations. Where's the wine you ask? Well sometimes, when you find you have nothing to say, a little liquid courage can be of great help, by adding a wine card to your deck and drawing a couple of extra cards. Doing so too often, however, may come back to harm you later on, as the wine cards do not match with any of the conversation cards. If you want to share your concept, progress, or feedback, start a topic and tag it as a Dev Log. Post here if you're looking to join or start a team. RPG Maker: While very focused in its capabilities, specializing in JRPG style games, RPG Maker is also pretty straight-forward and easy to use. It requires no coding, but additional functionality can be added with custom scripts using the Ruby language. There are multiple versions, each with a free trial, but RPG Maker VX Ace Lite is a completely free version, which should serve the needs of this jam.